It’s Rhubarb Time here on Turnips 2 Tangerines. 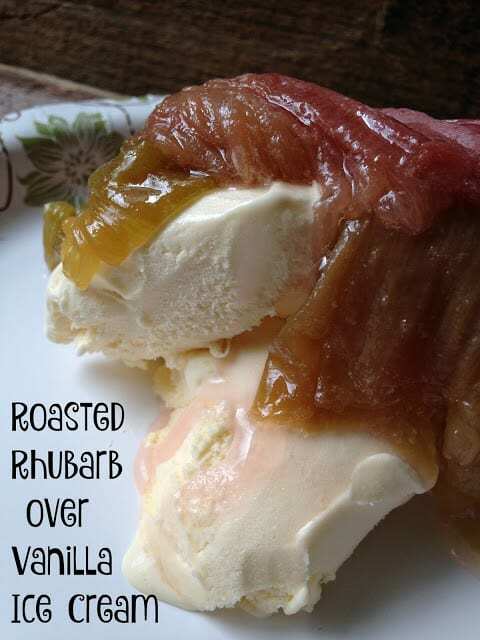 Time to celebrate the short but spectacular rhubarb season. We’ll be sharing a few of our favorite recipes. 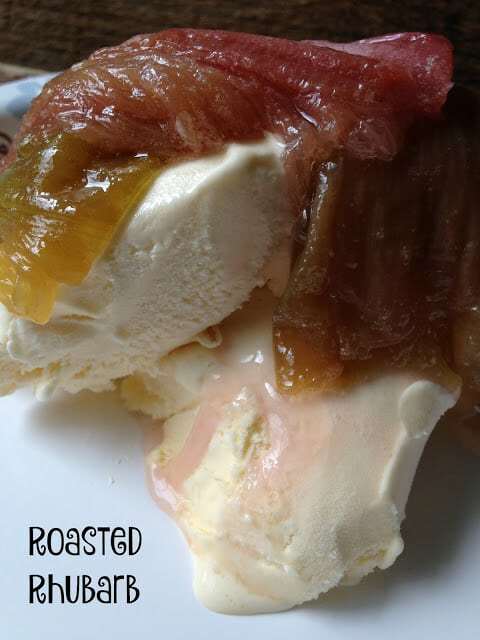 If you have never tried roasted rhubarb before, you are in for one wonderful surprise. Roasted Rhubarb spooned over vanilla ice cream and you will have a bowl full of delicious! 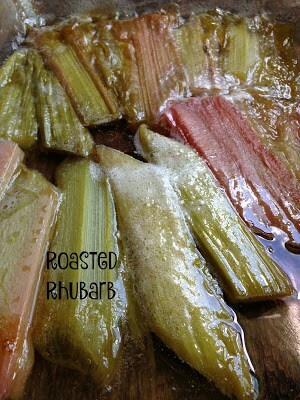 When roasting rhubarb together with sugar, the mixture turns into a sweet and syrupy concoction. So very easy, yet so very delicious. Rhubarb [ROO-bahrb] The thick, celery-like stalks of this buckwheat family member can reach up to two feet long. The stalks are the only edible part of the plant. The leaves contain OXALIC ACID and can therefore be toxic. Though rhubarb is eaten as a fruit, it’s botanically a vegetable. 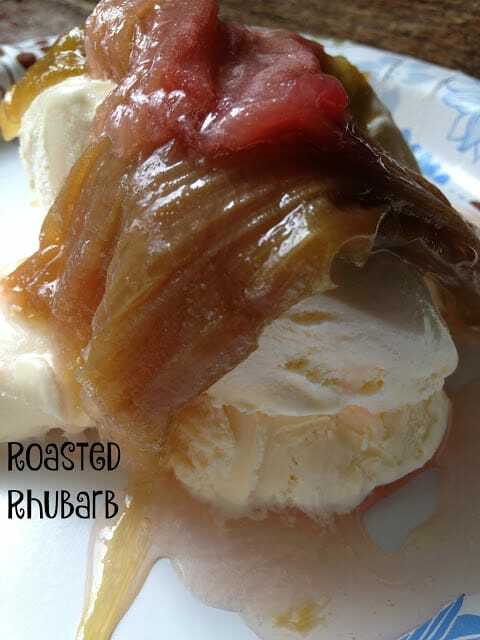 Rhubarb falls into two basic groups; Hothouse grown and Field-Grown or your back-yard variety. Hothouse rhubarb is available from December to March and field-grown is available from March through October with the peak season being from April to June. Rhubarb is highly perishable so it’s best to refrigerate, tightly wrapped, in a plastic bag for up to 3 days. 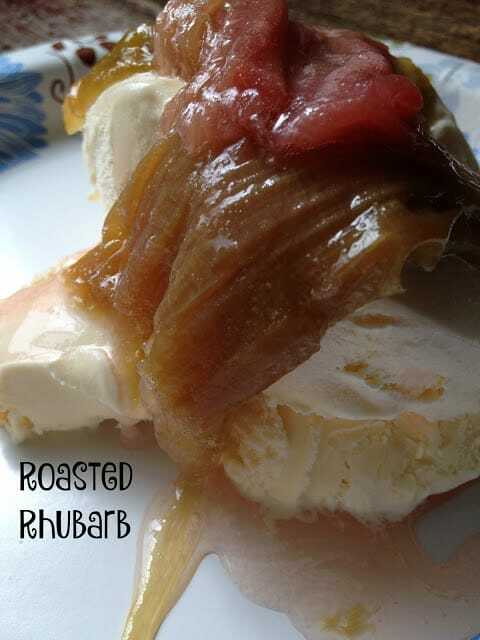 Because of its intense tartness, rhubarb is usually combined with a considerable amount of sugar. It makes delicious sauces, jams and desserts. In some regions its also known as pieplant, because of its popularity for that purpose. In the US, a traditional flavor combination is rhubarb with strawberries and in the Britain, rhubarb and ginger is a favorite flavor combination.Rhubarb contains a fair amount of vitamin A.
Rinse rhubarb and shake off the excess water. 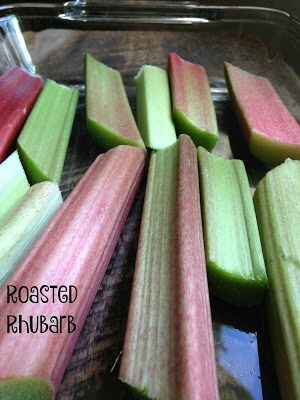 Trim the ends and cut the rhubarb into little finger-size pieces. Place the rhubarb in a shallow baking dish. 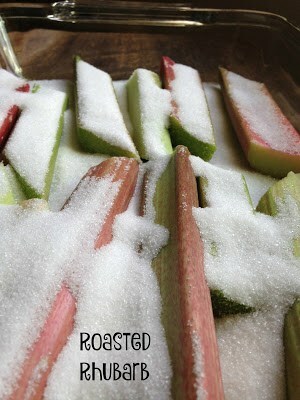 Add the sugar and toss together, shake the baking dish so rhubarb is in a single layer. Remove the foil, the sugar should have dissolved.